Adding Emoji to your captions is a great way to get noticed and add a some ✨ to your content. Here's how to do it on a Mac or PC. If you're using a Mac when entering your caption you can press control+command+space to bring up an emoji picker. Just choose the emoji you want and it will be inserted. For Windows 10 press the Windows key (on the keyboard)+Period to bring up the emoji picker. You can also use a website like https://getemoji.com/ to copy and paste an emoji into a comment. Helpful Tip: This works on most sites/apps on your Mac and PC too! 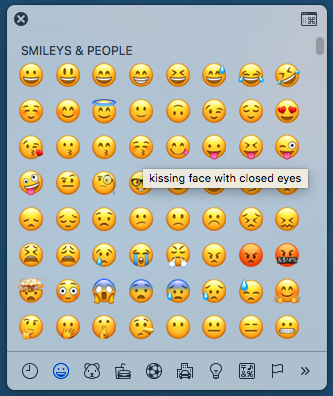 Note: The latest set of emoji have some issues and are not supported by Tailwind at this time. You can see the list of unsupported emoji at this link.